View of Łódź ghetto residents crossing a pedestrian bridge. At the outbreak of World War II, the Jewish community of Łódź, Poland numbered nearly 200,000, roughly 30% of the city’s population. It was the second largest Jewish community in Poland, and one of the largest in the world. Within a few months of the Nazi invasion, the Germans established a ghetto in the northeastern section of Łódź and all of the city’s Jews were forced to move there. Like other ghettos in Nazi-occupied Europe, the inhabitants of the Łódź ghetto suffered from horrendous living conditions and were forced to support the Nazi war-effort through manual labor. Unlike other ghettos, however, all aspects of daily life were ruled directly by the ghetto administration (Judenrat) and its head, Mordechai Chaim Rumkowski. Viewed as a controversial figure for his compliance with Nazi orders and strict policies in the ghetto, Rumkowski was in charge of maintaining order in the ghetto and fulfilling Nazi demands. Although his efforts to preserve the ghetto eventually proved fruitless, the Łódź ghetto existed until it was liquidated in August 1944 when the surviving residents were sent to Auschwitz-Birkenau. The following bibliography was compiled to guide readers to materials on the Łódź ghetto that are in the Library’s collection. It is not meant to be exhaustive. Annotations are provided to help the user determine the item’s focus, and call numbers for the Museum’s Library are given in parentheses following each citation. Those unable to visit might be able to find these works in a nearby public library or acquire them through interlibrary loan. Follow the “Find in a library near you” link in each citation and enter your zip code at the Open WorldCat search screen. The results of that search indicate all libraries in your area that own that particular title. Talk to your local librarian for assistance. Chronicles the lives of three teenagers who survived the Holocaust, one of which was in the Łódź ghetto. Includes illustrations, a glossary, bibliography, index, maps, and a timeline. 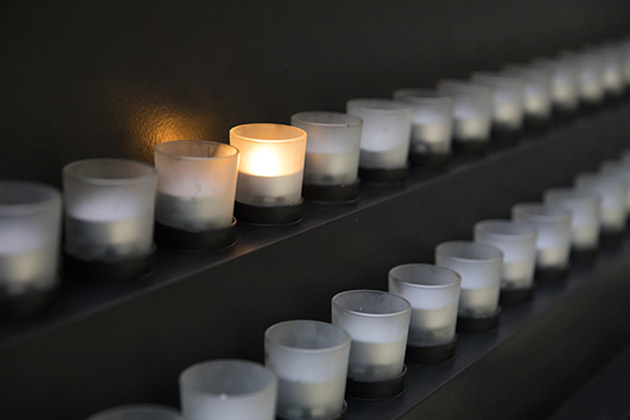 Part of the Teen Witnesses to the Holocaust series, this item is written for young readers. Relates the experiences of several youths who tried to help other children avoid deportation from the ghetto. Includes illustrations. Written for young readers. Considers the experiences of German Jews who were deported to the Łódź ghetto in October 1941 and their relations with the native-born Polish Jews. Includes statistical charts and footnotes. Discusses a children’s play written and performed in the ghetto. Includes illustrations and endnotes. Analyzes the music and songs created and performed in the ghetto. Includes musical examples and original lyrics with their translations as well as a glossary of terms, bibliography, list of songs, and an index. Announces the discovery and initial review of portions of an encyclopedia of ghetto life created in Łódź in 1944. Discusses the materials found and plans for long term research projects in this area. Includes footnotes. Collection of essays, four of which consider Rumkowski’s leadership of the ghetto, ghetto life, and the experiences of German Jews in the Łódź ghetto. Each essay includes footnotes. Curricular unit designed to present the text and drawings from a work created in one of the ghetto workshops. Includes the text and illustrations from the Legend, suggestions for classwork, and excerpts from primary sources. Presents eyewitness testimony and archival findings in order to document and describe food smuggling activities in three different ghettos. Includes illustrations, endnotes, a bibliography, and an index. Reproduces images and primary source documents displayed as part of a special exhibition commemorating the liquidation of the Łódź ghetto. Includes English translations from diaries written by teenagers in the ghetto. Combines chronologies, maps, illustrations, and a list of street names to provide a concise tour of the former ghetto. Discusses the effects of trauma and suffering within three generations of a family that survived the Łódź ghetto. Includes a genogram, endnotes, glossary, and a bibliography. Analyzes accounts of the Łódź ghetto as presented in memoirs, diaries, photographs, and songs. Includes images, endnotes, and a bibliography. Analyzes five Holocaust diaries, including Dawid Sierakowiak’s Łódź ghetto diary and considers the extent to which the writers could concentrate on personal goals while in hiding or in the ghettos and camps. Includes a bibliography. Analyzes Nazi food distribution policy as a tool of genocide. Considers distribution methods and policies in Łódź, including the role of the black market, in order to emphasize the fact that the Nazis did not provide adequate sustenance to the ghetto inhabitants. Includes endnotes and a bibliography. Comprehensive examination of the history of the Łódź ghetto based on primary source material. Includes translations of primary source documents, maps, endnotes, a bibliography, and an index. Catalog of an exhibition documenting life in the ghetto. Includes numerous photographs and primary source material. In English and Hebrew. Analyzes the activities of religious organizations within the Łódź ghetto with emphasis on the rabbinate and the observance of holy days. Includes endnotes. Discusses the role of women in the ghetto and the nature of their working conditions. Provides statistics and endnotes. Discusses the deportation of German Jews to Łódź in light of other deportations and in relationship to the development of the final solution. Includes endnotes. Relates the author’s experiences working in Rumkowski’s office in the Łódź ghetto administration. Includes illustrations. Describes Rumkowski’s success and failures in organizing the ghetto and protecting its inhabitants. Includes endnotes. Analyzes Rumkowski’s actions as head of the Judenrat in Łódź in comparison with the actions of comparable figures in other ghettos. Includes endnotes. Reexamines the actions and options available to Rumkowski in light of recent scholarship and research concerning complicity and survival strategies. Includes endnotes. Profiles Rumkowski’s life and actions in comparison with those of the ghetto leaders in Warsaw and Vilnius, Adam Czerniaków and Jacob Gens, respectively. Reexamines Rumkowski’s actions as head of the Judenrat in light of new research and theories concerning ghetto administration and the war effort. Contains footnotes. Details the author’s life in the ghetto and survival in Auschwitz. Includes photographs. Contains the account of the author’s deportation from Kielce to Łódź and life in the ghetto with her teenage friends. Includes illustrations. Relates the author’s experiences as a young teenager in Łódź, his experiences during the war, and eventual return visit to Poland after 45 years of life abroad. Describes life in the Łódź ghetto as recalled by an author who survived the war without ever being separated from her sister. Contains an account of life at the Marysin Orphanage within the Łódź ghetto. Includes a glossary. Presents the author’s account of life in the Łódź ghetto as well as his deportation to Auschwitz. Includes photographs. Describes the author's life from the time of the Nazi invasion of Poland to her arrival in the United States. Shows her experiences in the Łódź ghetto, transport to Auschwitz, and time at Stutthof. Includes poems by the author. Recounts the author’s activities in the Łódź ghetto, his deportation to Auschwitz, and liberation from Dachau. Includes information on his postwar reunion with surviving family members. Relates the author’s account of life and survival as a doctor in the Łódź ghetto and his deportation to Auschwitz. Includes maps and photographs. Recalls the author’s life in the Łódź ghetto and elsewhere and offers the author’s reflections on writing about the psychological trauma he experienced. Recounts the author’s experiences as a young teenager in the Łódź ghetto and her subsequent deportation to Auschwitz. Contains translations of hundreds of diary entries, poems, notebooks, and ghetto announcements that document the history of the Łódź ghetto. Includes illustrations, a glossary, maps, endnotes, and an index. Reproduces several primary source documents, in translation, concerning activities in the Łódź ghetto, including Rumkowski’s announcement concerning labor in the ghetto, his speech announcing the deportations of the children, observations on the ghetto after the deportation of children, and the liquidation of the ghetto. Includes footnotes, a bibliography, and indexes. Collects the poems, writings and diary entries created by a teenage boy in Łódź. The diary was hidden when he was deported to Auschwitz and recovered by his sister, and sole-surviving family member. Includes illustrations. Complete translation of the archives maintained by the administrators of the Łódź ghetto. Maintains the original day-to-day format used to preserve all aspects of life in the ghetto during the period between January 1941 and July 1944. Includes maps, photographs, a list of street names, and an index. Collection of images of children and daily life in the ghetto. Written for young readers. Collection of photographs taken by Grossman in the ghetto and preserved in the collections of his surviving friends and associates. Provides full text translations of 17 of the author’s research notebooks and writings from his work chronicling life in the Łódź ghetto. Includes editor’s notes. Presents the diaries kept by the teenaged author that describe the outbreak of war and his life in the Łódź ghetto. Contains photographs. Collection of photographs documenting life in the Łódź ghetto originally taken by Henryk Ross. Translations of diaries kept by 14 different teenagers during the Holocaust, including two from Łódź. Contains endnotes, a bibliography, and an index. Reproduces writings and accounts created by the author while working inside the Łódź ghetto. Includes photographs and footnotes. Chronological account of life in the Łódź ghetto as documented in over 1,000 carefully sequenced filmed images, made at great risk and left deliberately by the doomed community members. Includes a supplement following the program describing the making of the film, as well as interviews with individuals connected with the ghetto. Shows the efforts of German-appointed leader Chaim Rumkowski to save the Jewish community during the Nazi occupation of Łódź. Considers a collection of 400 color slides made by amateur Nazi photographer and chief accountant of Łódź ghetto, Walter Genewlin, for whom taking photographs of human misery was a hobby. Dr. Arnold Mostowicz, a Łódź ghetto survivor, provides a first-hand account of one of World War II’s darkest chapters. Web site created to accompany the Museum’s special exhibition “Give Me Your Children: Voices from the Lodz Ghetto,” presented in 2007. 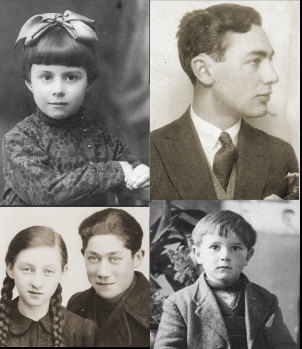 Includes links to articles, photographs, and videos related to the exhibition, as well as images of pages from the album presented to Mordechai Chaim Rumkowski by the children of the ghetto in 1941. Collects information on the history of the ghetto and its inhabitants. Includes online photographs, maps, survivor testimony, archival film footage, and images of artifacts. Provides information on youth groups and their activities in Łódź before and during the Holocaust. Includes testimonies, a timeline, and an information center on the history of the Łódź Jewish community.